Peru, a country in western South America is the heir to ancient cultures and a rich colonial tradition is a magical spot which involves one of the richest biodiversities of earth draws tens of thousands of visitors every year. The country is a great melting pot of diverse cultures, incredible rich and compelling archaeological heritage and great natural beauty. Almost all make a stop at Lima which is not only capital city, but also cultural and business center of the country as well. Lima the exotic city of Peru runs at a slower pace than many other South American metropolises as the city has a rhythm which is more traditional and its people reflect a steadier calmer constitution. Although it is built in a desert, it is known as the “Garden City” and is a home to one of the world’s largest fountain parks. So pack your bags and grab the best deal discounted flights to Lima to enjoy a city of exotic vistas. This is the old town square of Lima, located right in the heart of the city. It has been designated as an UNESO World Heritage site possesses a lot of historical and architectural significance of Lima. The Square is surrounded by various eminent places like Lima Cathedral, the residence of Mayor of Lima, The President’s Palace and Archbishop’s Palace. Locals come here to spend their weekends while tourists come here to see the beauty of old colonial buildings surrounding it. It is an official residence and office of Peru’s president that sits on the banks or Rimac River, which is the city’s principal waterway and faces San Cristobal Hill, the highest point of the city. Back in a time of the Incas, the site had strategic and spiritual meaning which is why the last Inca chief in Lima also lived here. The government Palace has been rebuilt numerous times and this current French –inspired mansion was constructed in 1930s. Access to the palace is restricted and special tours can be arranged directly through the protocol. It is indeed a worth visit destination. 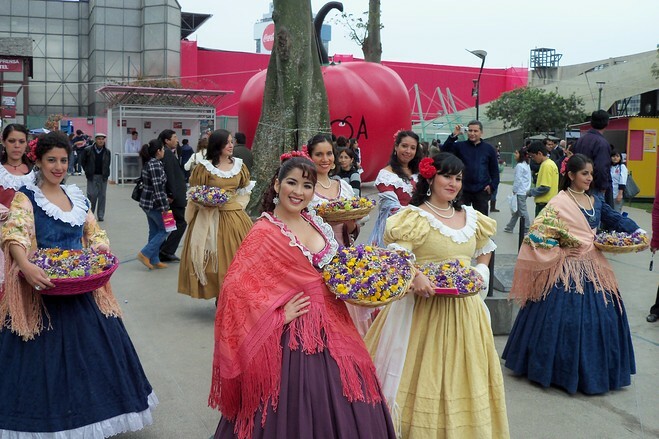 If you want to visit Lima then make a plan during the time of Mistura, the annual food festival of Lima which is held from 7th to 12th September when chefs from around the Peru and other parts of the world will convene at the Parque de la Exposition for a week. Come and take part in food tasting, markets, competitions, roundtable discussions and master classes. Enjoy the country’s gastronomic delights under one roof. On 18th January 1532, Lima the great city of kings was formed. Every year this date brings nice parties throughout town with cuisine, festivals, parades and concerts. The most diversion is focused on the most Plaza of national capital, it absolutely was here that Francisco Pizarro, the founding father of national capital was aforesaid to own ordered out the inspiration of town. Main festivities are centered here with parade, mass and free concerts in the evening which is concluded by fireworks. So make a plan during this period of time to enjoy the spirit of city in the true sense. So, just don’t wait, fly to Lima and enjoy a great journey to this beautiful city. It is a famous pedestrian street of city decked with lots of shops, interesting old colonial buildings and churches. It starts from Plaza San Martin and ends all the way to Plaza Mayor. The most interesting sight on the strip is Iglesia de San Agustin; an old church stands out on the street. The church has a sacred cross and it is believed that it would heal all illness. People pray and touch this sacred cross to regain their health. The city boasts many public and private museums, but none of them is as pleasing and unique as the Larco Museum. Housed in a former mansion, built on the site of a pre-Colombian temple, the museum offers a varied collection of 3,000 years of ceramic products, textiles and precious metal artifacts. There are also mummies that show the rich cultural heritage and how the Incas preserved their dead. Catherine Tramell is avid travelers recently travelled Lima and explore some amazing things over there which he likes to share with all travelingtoworld.com. Keep up the good piece of work, I read few articles on this web site and I conceive that your blog is rattling interesting and contains lots of good information. I simply want to mention I am new to weblog and seriously enjoyed your website. Very likely I’m going to bookmark your site . You amazingly have very good articles and reviews. Thanks a lot for revealing your web page. Very handful of internet sites that transpire to become comprehensive below, from our point of view are undoubtedly effectively worth checking out. you are actually a just right webmaster. The web site loading pace is incredible. It kind of feels that you are doing any distinctive trick. Also, The contents are masterpiece. you’ve performed a great activity in this matter! Hello there, I discovered your website by means of Google whilst searching for a similar subject, your web site came up, it seems good. I’ve bookmarked it in my google bookmarks. I simply want to say I am very new to weblog and certainly loved this blog site. Very likely I’m want to bookmark your blog post . You amazingly have superb stories. Cheers for revealing your web page. I just want to say I’m beginner to blogging and actually enjoyed this web-site. Very likely I’m want to bookmark your site . You amazingly come with incredible articles and reviews. Thank you for sharing your blog. Remarkable challenges listed here. Now i’m incredibly happy to look your posting. Cheers that i’m looking forward to feel you. I simply want to mention I am just beginner to blogging and absolutely liked your blog. Very likely I’m going to bookmark your website . You definitely come with amazing article content. With thanks for revealing your webpage. Each one will cherish this post, it’s most successful.